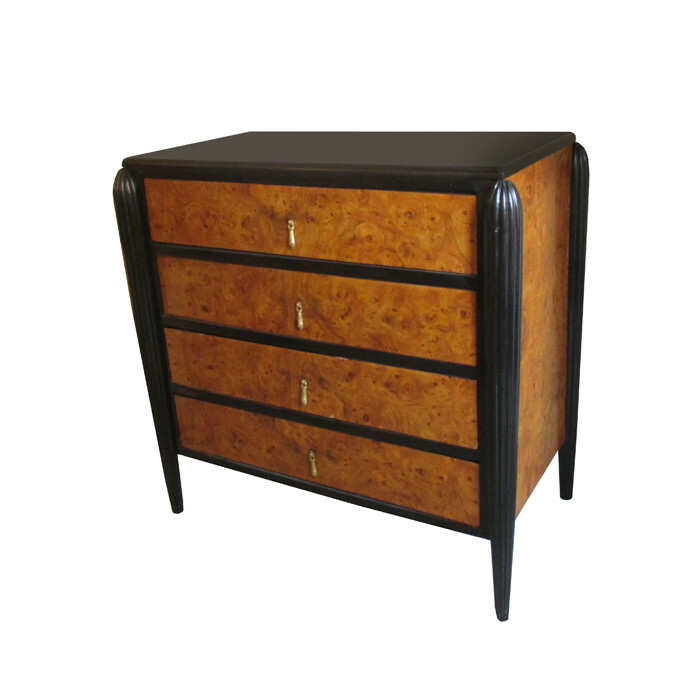 A small Art Deco chest of drawers. Amboyna and ebonized fruitwood with fluted leg details and patinated brass pulls. Dimensions: H:30 W:31 D:18 Inches.